The actual Catwoman costume costs over $50! So instead, I wore a pair of everyday-wear black leather leggings and a corset to match. The gun holster was supposed to be for my whip, but it wasn’t able to hold it so it’s going to hold my keys and my phone instead on Halloween night. 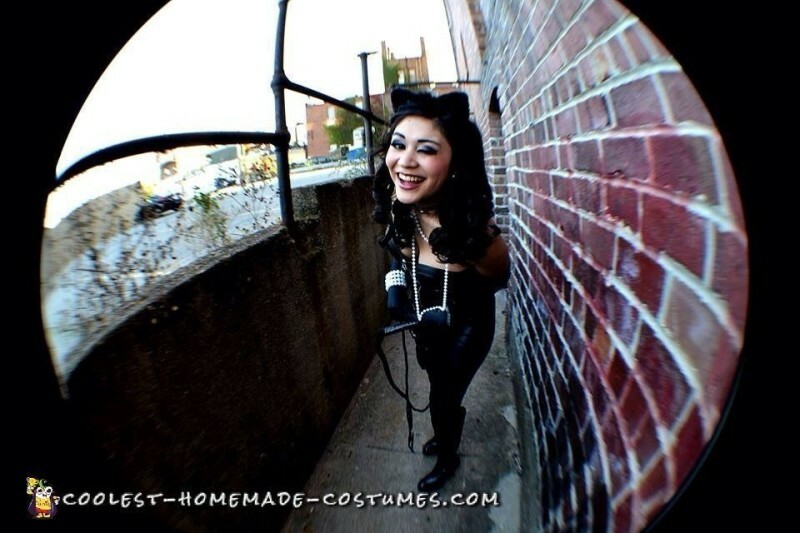 My photoshoot with the Catwoman costume was actually recent in Downtown Bloomington, and I got a lot of stares walking across Washington street trying to meet with my photographer!